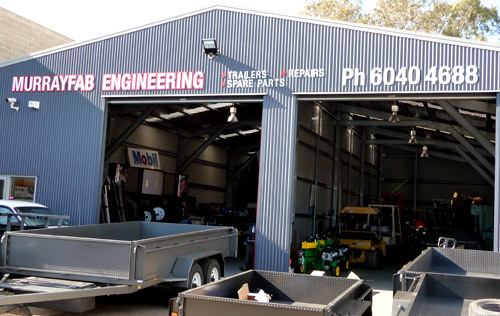 Murrayfab Engineering is based in Albury and supply a wide range of quality trailers, custom trailers and trailer parts throughout Victoria, the ACT and NSW. With twenty years experience in the trailer and trailer parts industry Murrayfab Engineering backs quality products with excellent service and competitive pricing. 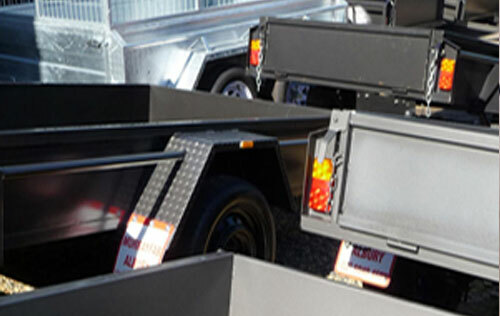 Murrayfab Engineering is a renowned supplier of quality Australian built trailers, custom trailers and trailer parts. 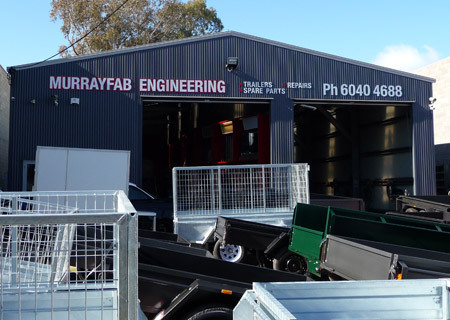 Murrayfab stock an extensive range of trailer parts and supply to clients throughout regional Victoria, NSW and Canberra. From regular box trailers with either single or tandem axles through to specialty trailers for lawn mowing contractors, excavators, car carrying or livestock transport Murrayfab Engineering suppliers of quality trailers for years. 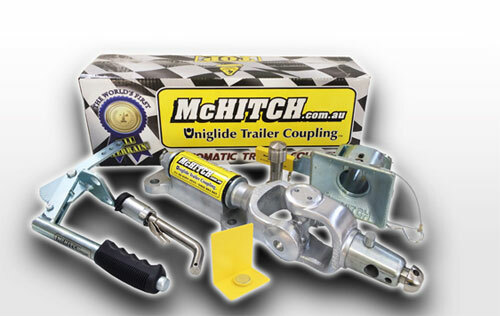 We supply the complete range of both McHitch Drop-on Trailer Couplers and Automatic Couplers. These trailer couplings are the very peak of Australian engineering and have won many awards all around the world. 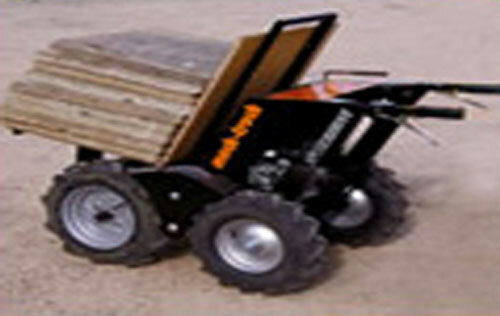 Muck-truck is designed to take the backache out of those tight jobs. Here is a self propelled power unit narrow enough to fit through your doorway, to slip down the side alley or climb over steps and footings. Muck-truck is a multi purpose material handler.